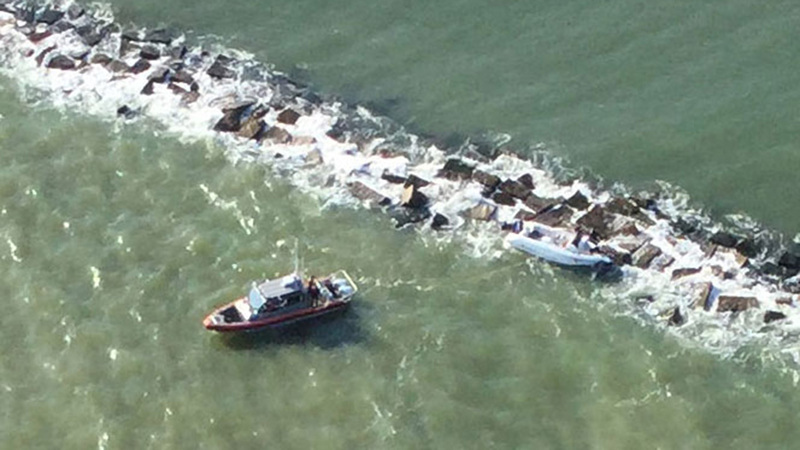 GALVESTON, TX (KTRK) -- The U.S. Coast Guard rescued two men Monday morning after their boat hit the rocks on the Galveston South Jetty. The men contacted Galveston police around 8am after their boat lost power. Coast Guard officials responded with a rescue boat and towed the men to safety. No one was injured, and the men were taken back to the Texas City Dike.